As our readers might recall, the Federal Circuit recently considered a Native American tribe’s reliance on sovereign immunity in Saint Regis Mohawk Tribe v. Mylan Pharmaceuticals, Inc.2 (A link to our blog post about the Saint Regis decision is here.) 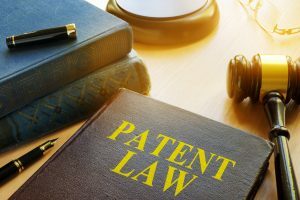 In Saint Regis, the Federal Circuit considered whether sovereign immunity barred the PTAB from adjudicating an inter partes review against patents owned by the Saint Regis Mohawk Tribe. The Saint Regis court concluded that inter partes reviews are more like agency-initiated enforcement proceedings than proceedings brought against a state by a private party, a distinction at issue in FMC. This distinction led the Saint Regis court to determine that an IPR is merely an exercise of “the United States in its role as a superior sovereign to reconsider a prior administrative grant and protect the public interest in keeping patent monopolies within their legitimate scope.”3 Such an exercise, the court concluded, is not barred by sovereign immunity. Since the Federal Circuit has already held that patents owned by Native American tribes are not immune from challenge by inter partes review, and because, arguably, tribal sovereign immunity and state sovereign immunity are very similar, the University of Minnesota’s path to success in Regents of the University of Minnesota v. LSI Corp. appears to be an uphill battle. Indeed, in oral arguments, the judges on the panel appeared to signal as much. In response to questioning from the bench, counsel for the University argued that tribal immunity is a common law doctrine subject to legislation by Congress, whereas state sovereign immunity is provided for in the Constitution. Judge Dyk was not convinced. “[W]e went through all of this in Saint Regis,” he countered, and the Federal Circuit determined in that case that the type of sovereign immunity was not relevant. If the Federal Circuit decides that states are not immune from inter partes review by the USPTO, it is likely that the door will be closed on relying on sovereign immunity as a shield to protect patents. If, however, the Federal Circuit decides that states are immune from inter partes, there could be a scramble by patent holders seeking to afford themselves of immunity by entering into contractual arrangements in which patentholders purport to sell patents to state entities. See Federal Mar. Comm’n v. South Carolina State Ports Auth., 535 U.S. 743 (2002) (FMC). Dkt. Nos. 2018-1638, 2018-1639, 2018-1640, 2018-1641, 2018-1642, 2018-1643, slip op. (Fed. Cir. July 20, 2018). Brief for the U.S. as Amicus Curiae in Support of Appellees & Intervenor at 7, Regents of the Univ. of Minn. v. LSI Corp., No. 18-1559 (Fed. Cir. Aug. 6, 2018), ECF No. 94.